Thanks so much for the lovely ornament! We are so happy to have such a wonderful reminder of our time in Napa. Wine lovers! Looking for a truly one of a kind chandelier? 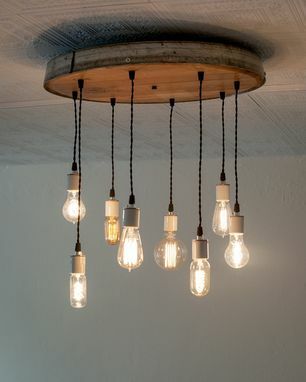 Handcrafted from locally sourced wine barrel rings from Napa valley wineries in the heart of California wine country, our exquisite lighting collection will showcase your home or business with a rustic elegance unique to California wine culture. Available in a wide variety of designs and customizable options, our extensive yet singular collection is sure to be the most functional piece of art you own! 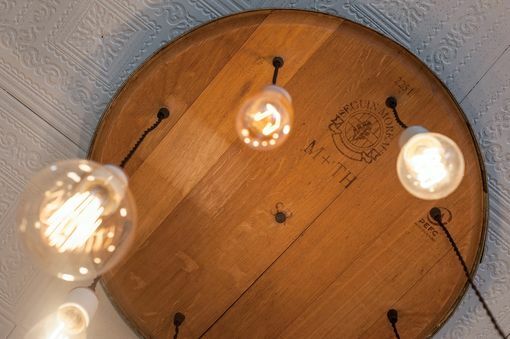 In our continuing effort to be environmentally conscious and recycle, we came up with this fun and elegant design to reuse retired wine barrel heads. Like nothing else out there, this eye-catching fixture warms any space with a handsome reminder of the wine that helped define its unique character. 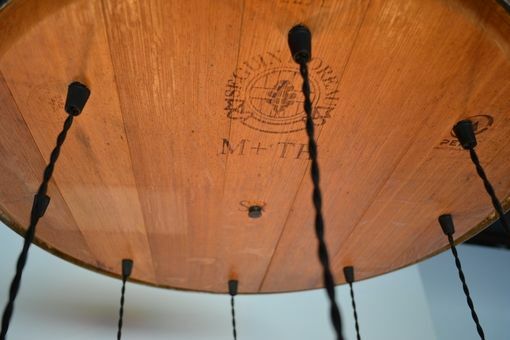 We take a retired wine barrel head and mount a wine barrel ring on the outside to define the piece. 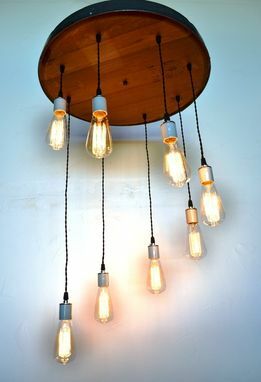 The flush-mount fixture has a metal cover on top containing all the wiring, and is easy to install with just one person. 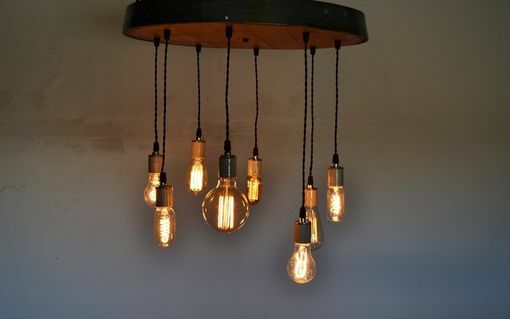 Each of the eight pendant lights hangs from the barrel head by old fashioned twist cord. Each cord is fully adjustable up to 24". 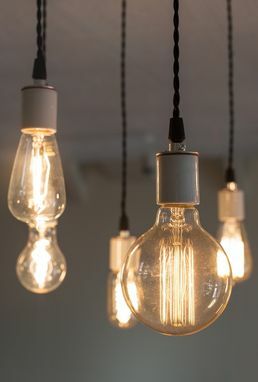 You can keep the bulbs at one height or multiple heights depending on your design needs. Each fixture is unique. You can choose to have the natural side or the wine-soaked side facing down. The natural side shows the winemaker's logo with all production markings and the wine side glows with the deep red from years of happy wine storage. SHIPPING: We ship internationally! Additional shipping charges are required for orders to Alaska, Hawaii, Puerto Rico and all international destinations. Send us a message with your address for an estimate. CUSTOM DESIGN: Don't see quite what you're looking for? We can adapt our designs or create new custom work based on your ideas. Let me know! I love a fun project! CONNECT: Want to see what's new and exciting in our shop? Follow us on Facebook or Instagram! I post all the new designs, prototypes, quirky odd projects and more. If you've placed an order, you might even see it being built! It's pretty amazing what happens in our shop. Thanks for visiting!